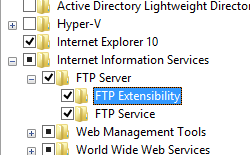 The <fileHandling> element is used to specify the way that the FTP service handles file operations. 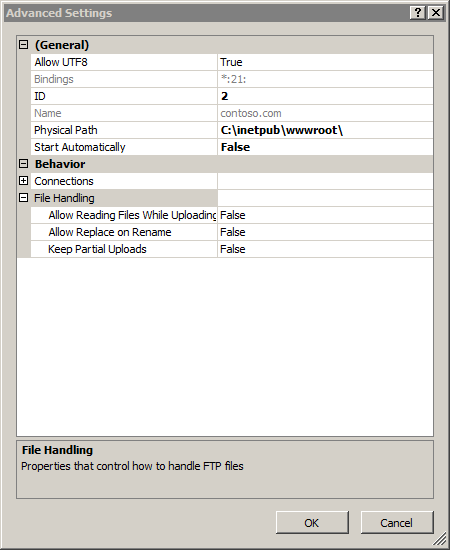 For example, the keepPartialUploads attribute configures whether the FTP service should keep files that were partially transferred, such as when a file transfer ends prematurely. 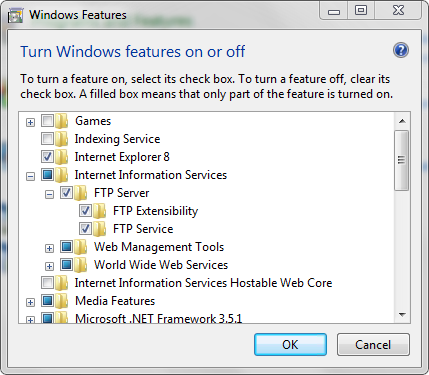 IIS 10.0 The <fileHandling> element was not modified in IIS 10.0. 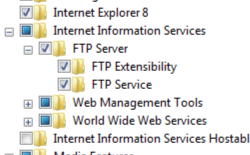 IIS 8.5 The <fileHandling> element was not modified in IIS 8.5. 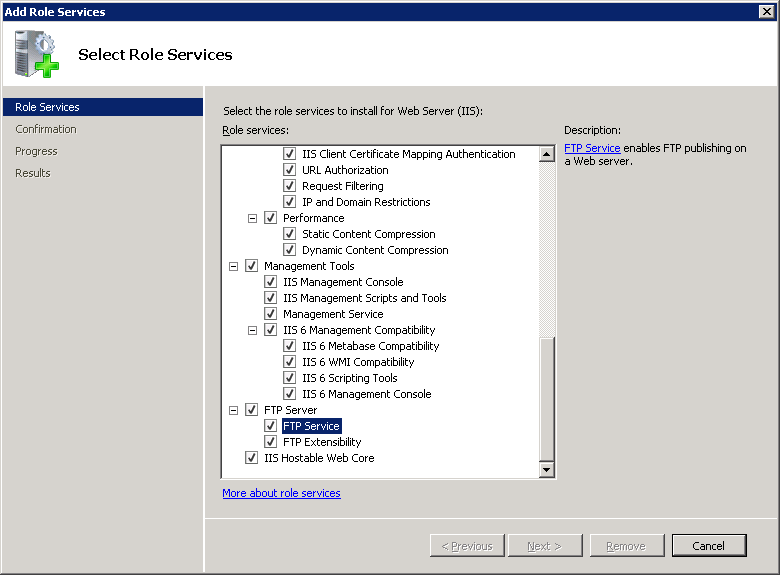 IIS 8.0 The <fileHandling> element was not modified in IIS 8.0. 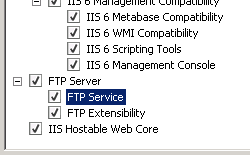 IIS 7.5 The <fileHandling> element of the <ftpServer> element ships as a feature of IIS 7.5. 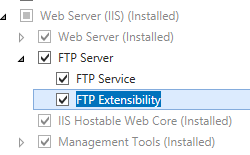 IIS 7.0 The <fileHandling> element of the <ftpServer> element was introduced in FTP 7.0, which was a separate download for IIS 7.0. 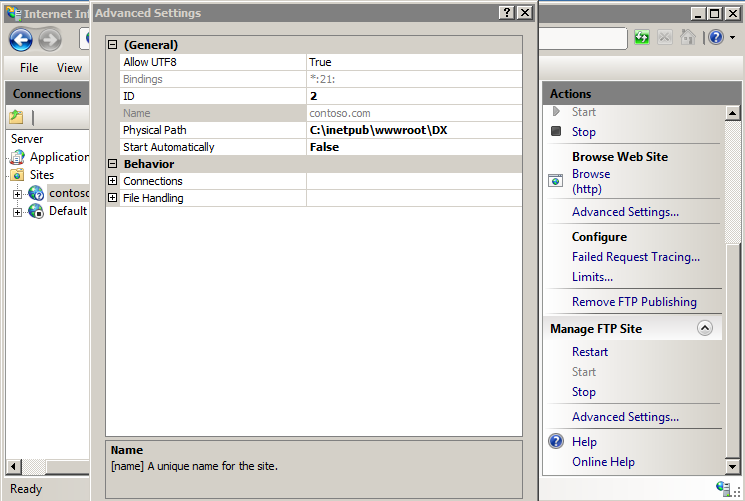 In the site's Home pane, click Advanced Settings... in the Manage FTP Site section of the Actions pane. 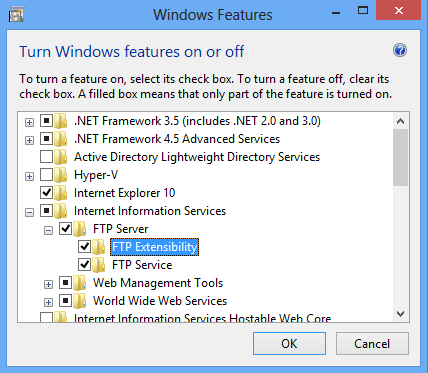 Specify True for Allow Reading Files While Uploading if the FTP service should allow read access to files that are currently being uploaded; otherwise, specify False. Specify True for Allow Replace on Rename if the FTP service should allow files that are being renamed to overwrite existing files; otherwise, specify False. The <fileHandling> element is configured at the site level. 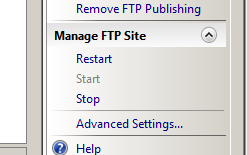 true if the FTP service should allow read access to files that are currently being uploaded; otherwise, false. true if the FTP service should allow files that are being renamed to overwrite existing files; otherwise, false. true if the FTP service should keep files that have been partially uploaded; otherwise, false. 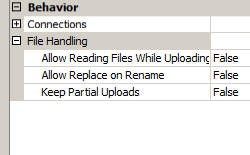 The following sample displays a <fileHandling> element for an FTP site that configures the FTP service to keep partial uploads, to allow replacing existing files when renaming files, and to deny reading files that are currently being uploaded. 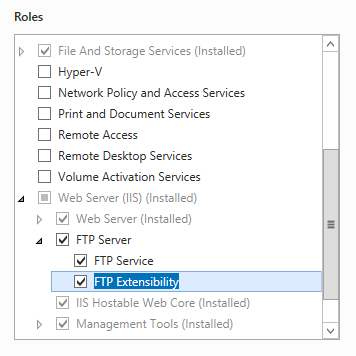 The following examples configure an FTP site so that it keeps partial uploads, allows replacing existing files when renaming files, and denies reading files that are currently being uploaded.